Employees step out from a shuttle bus near a Huawei 5G sign on display inside its headquarters in Shenzhen in south China's Guangdong province on Dec. 18, 2018. Telus Corp. is not backing down in its support of Huawei Technologies Co. Ltd. amid rising tensions over the Chinese telecom equipment provider’s future in Canada and other developed markets. Vancouver-based Telus, Canada’s third-largest wireless carrier, sent a lengthy memo to about 30,000 employees last week defending its decision to use Huawei equipment in Canadian networks. The memo highlighted technological successes Telus says it has achieved in its wireless network in co-operation with Huawei, and also emphasized that Telus has worked closely with the Canadian government to address security concerns and continues to do so. The internal missive from a senior executive at Telus underscores the risks of aligning with Huawei, which could be blocked from supplying equipment to Canadian carriers for next-generation 5G networks. The memo acknowledges that such a ban would undermine investments Telus has already made. 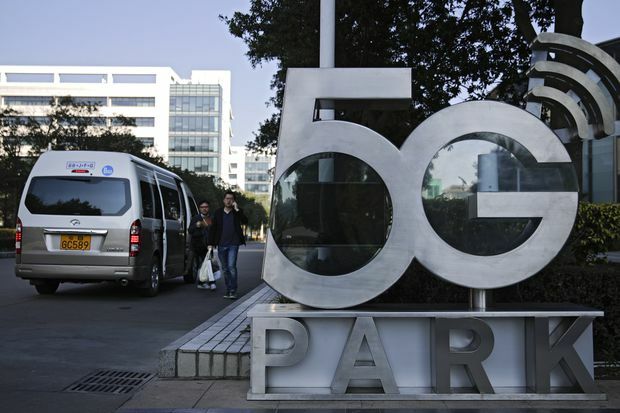 The company has used Huawei gear extensively in its current wireless network and could face an expensive bill to swap out that equipment or make it compatible with new 5G technology from a different vendor. The Canadian government is conducting a cybersecurity review that will determine whether telecom providers will be permitted to use Huawei equipment in their 5G networks. Three of Canada’s Five Eyes intelligence allies – the United States, Australia and New Zealand – have already barred or limited Huawei from 5G, and the other one, Britain, is weighing whether to take similar steps. Germany is the latest country to consider a similar ban. On Thursday, Chinese Ambassador to Canada Lu Shaye warned that shutting China’s largest private company out of next-generation wireless networks would have consequences. “If the Canadian government does ban Huawei from participating in the 5G networks … I believe there will be repercussions.” Public Safety Minister Ralph Goodale responded on Friday that pressure from China would not affect what Canada does. "This is an important decision for Canada, and we will make it based on what is right for our country,” he said. Telus and BCE Inc. (which is Canada’s second-largest wireless carrier) have built a shared 3G and LTE (4G, or long-term evolution) wireless network, with Telus responsible for most of the west and BCE building most of the network in the east. Like many smaller Canadian telecom providers, they have used Huawei equipment in their radio networks – the antennas and radios at the top of cell towers – but not in their network cores, which contain more sensitive information. In 2013, the government established a third-party testing process to monitor the safety of network equipment. The government has also permitted the use of Huawei equipment in less-sensitive parts of wireless networks, but that distinction may be more difficult to maintain with 5G, as industry reports indicate elements of the core technology will be closer to the radio network. Sources have told The Globe virtually 100 per cent of Telus’s radio equipment comes from Huawei, while BCE has used the Chinese vendor for about 60 per cent to 70 per cent of its radio network. Marc Choma, a spokesman for BCE, declined to comment on whether his company had sent a similar note to employees. Canada’s largest carrier, Rogers Communications Inc., installed some Huawei equipment in Western Canada, but has replaced most of it with products from Sweden-based Ericsson, the vendor Rogers says it plans to work with on 5G. Huawei is the lead sponsor for Hockey Night in Canada, which Rogers owns the rights to and controls. Rogers Media spokeswoman Andrea Goldstein said on Friday that the sponsorship has not changed.